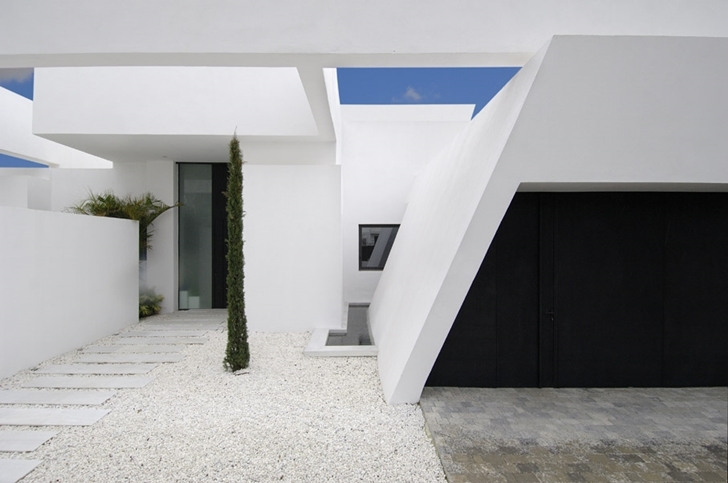 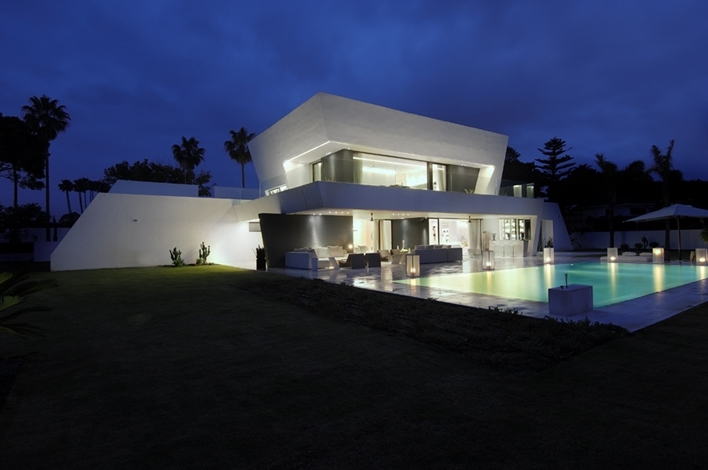 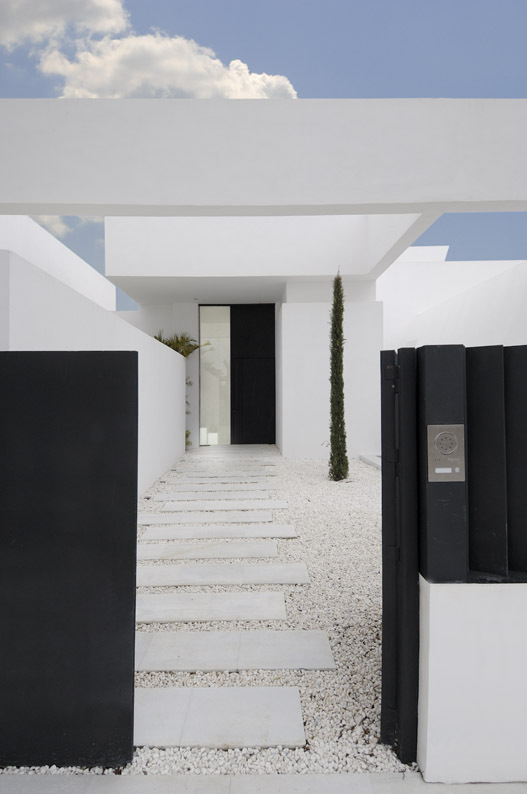 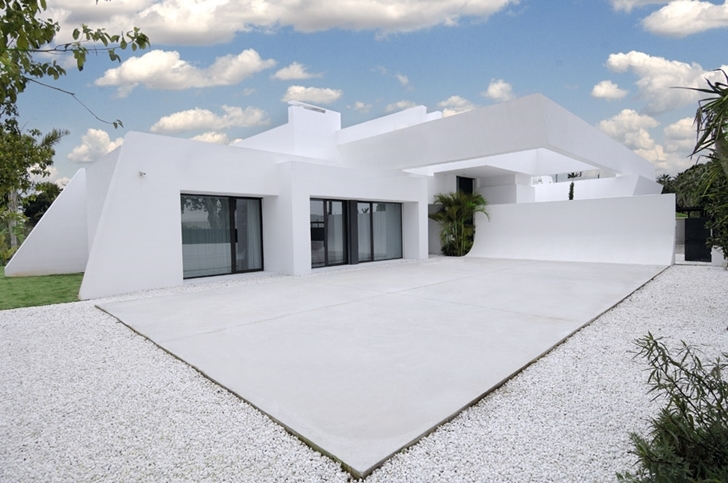 Talented and famous A-Cero Architects designed amazing Sotogrande House in Cadiz, the oldest continuously inhabited city in Spain and one of the oldest in all southwestern Europe. 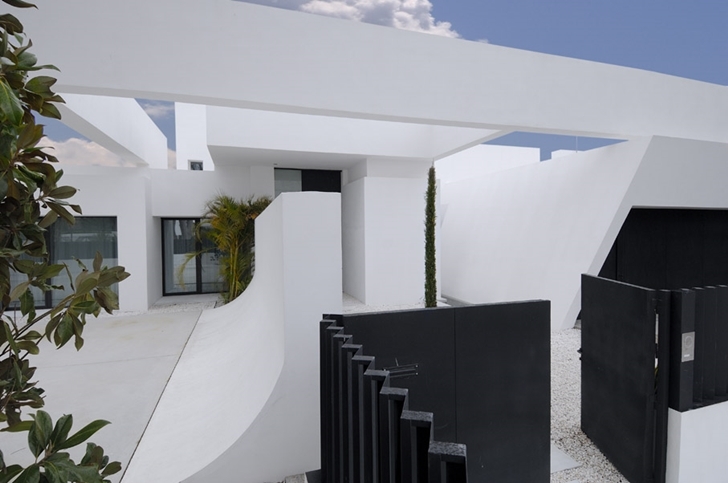 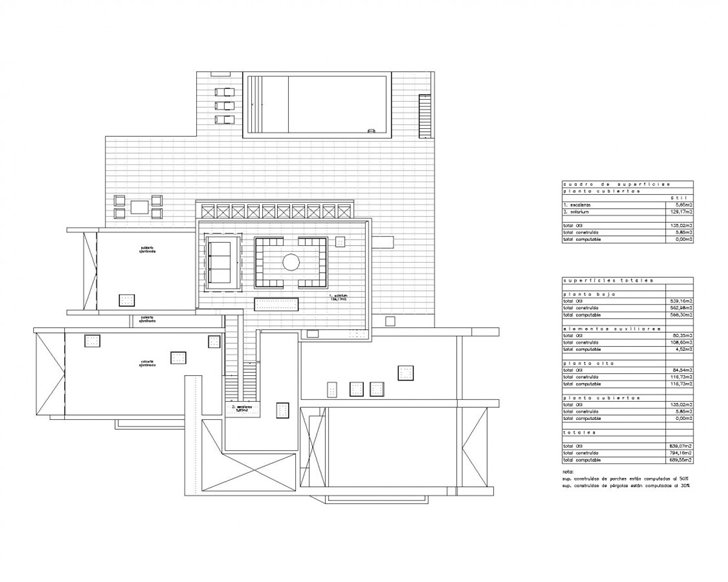 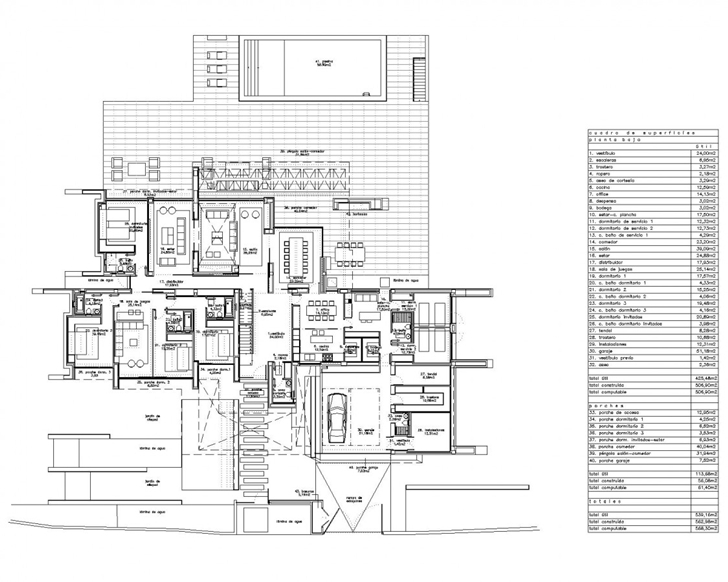 This two story contemporary style home is perfect for people who like combination of sterile clean interior design and beautiful modern architecture. 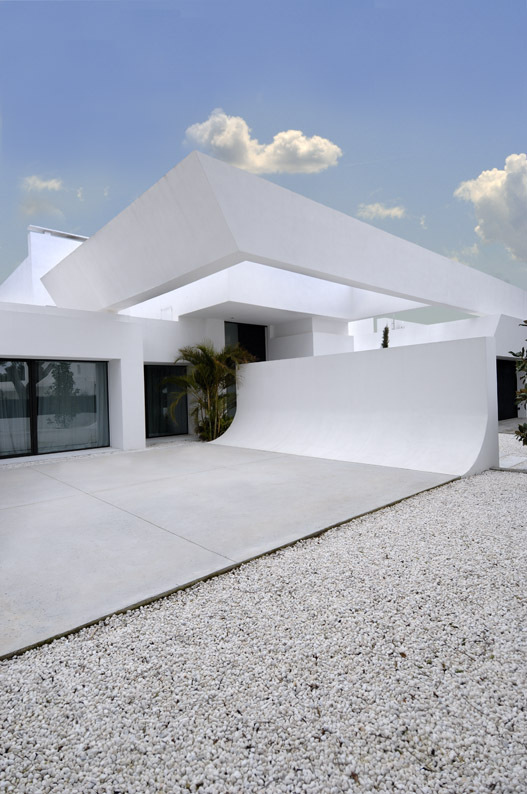 Exterior facade is designed to protect its residents from strong Spain sun. 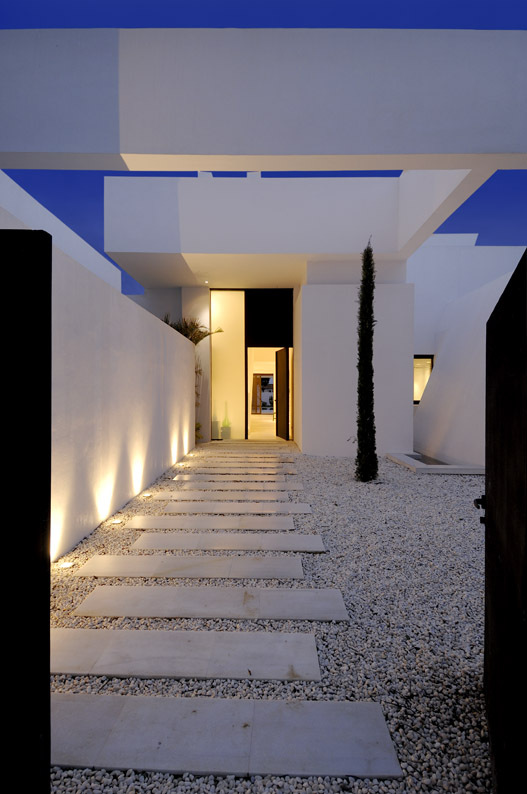 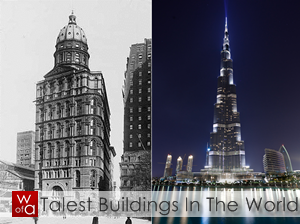 While modern facade is designed to make shade, interiors are designed to absorb as much of daylight as possible. 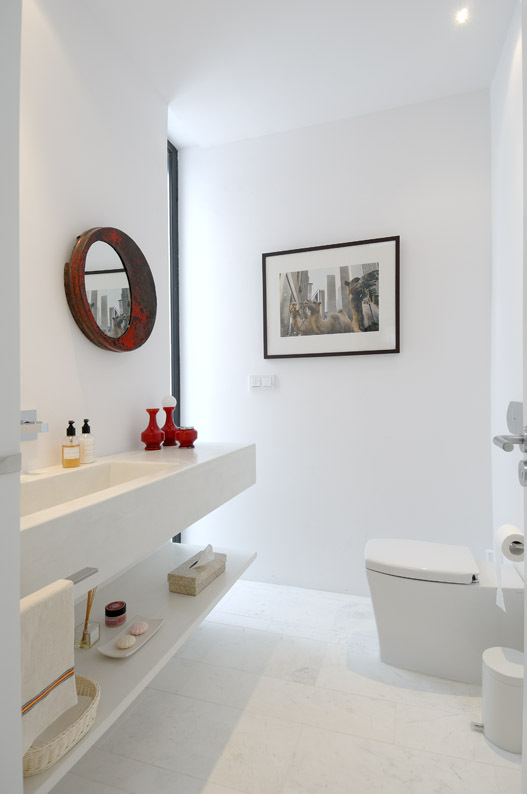 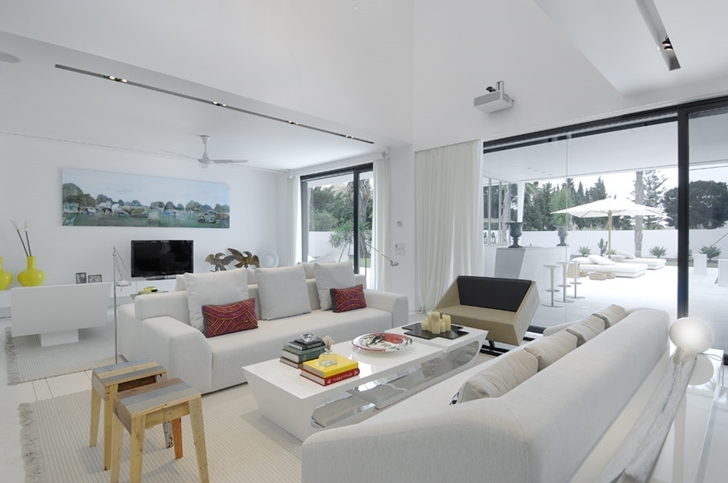 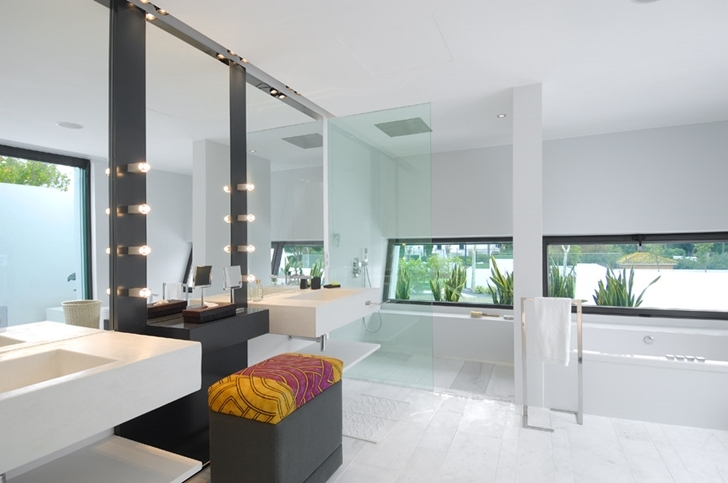 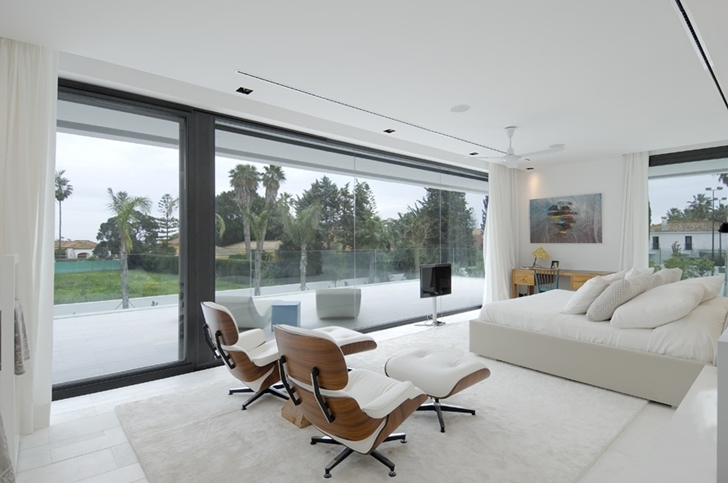 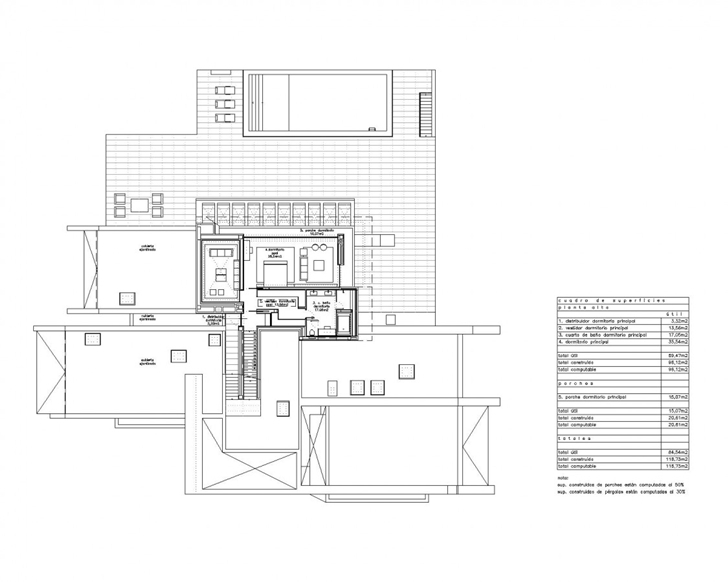 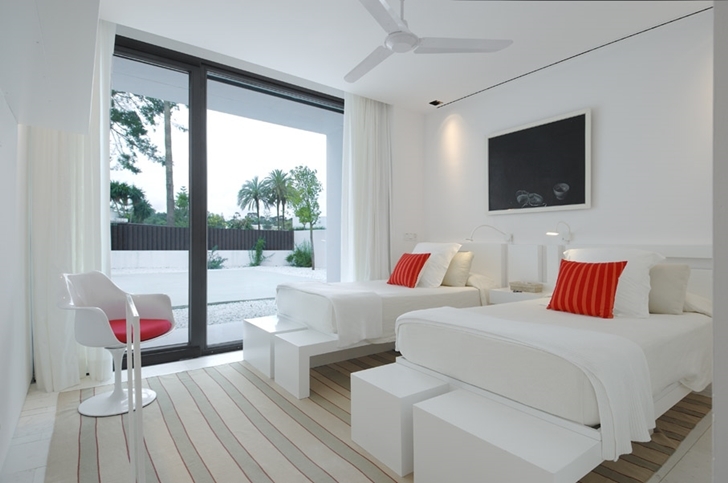 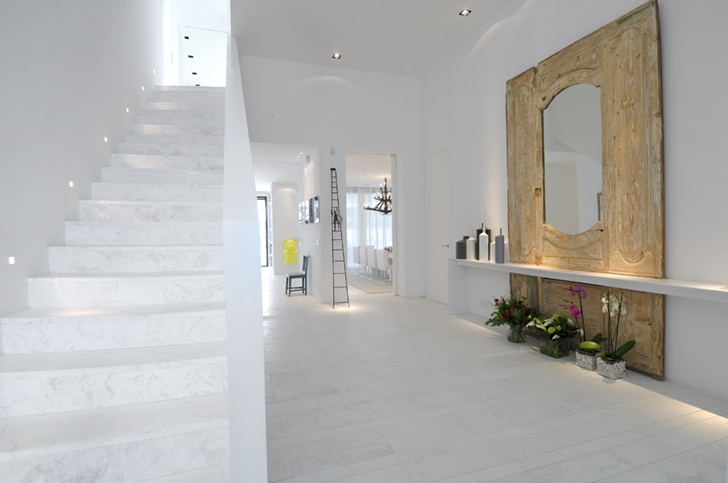 White color did the magic, reflecting daylight through open floor plan of the house. 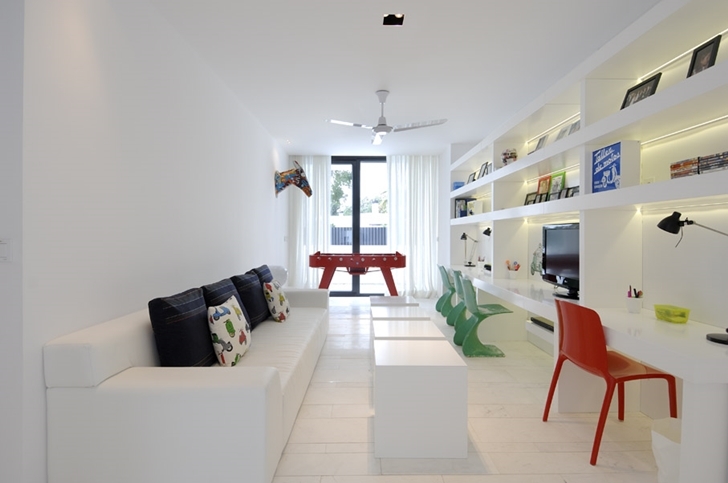 To break the monotony, architects placed colorful details as focal points across the house.